Hello everyone! 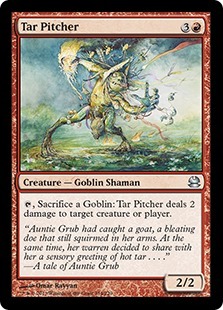 This week I am writing about my experience in the MTGO Anniversary Finals, which was a Modern Masters Sealed Premier Event. 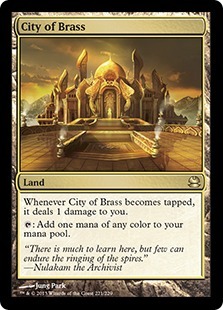 Before the event, I had never played an event, a match, a game, or even a turn of Modern Masters. 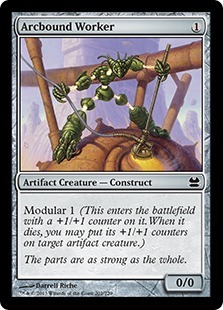 When the set came out, I wasn't excited, because it felt too much like Cube, which I am actually not a fan of. When the event was announced, I wasn't really interested at all. What I was interested in was the qualifiers. 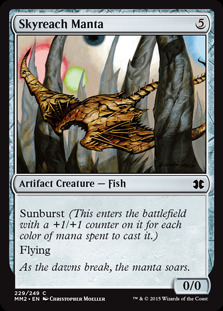 At the beginning of July, MTGO brought back an old Sealed format (a different one each day), which was appealing to me. 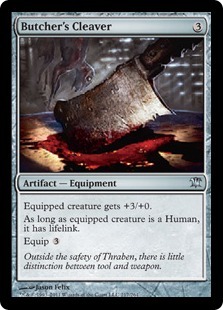 The very first of these formats was Innistrad, which is probably my favorite limited format ever. 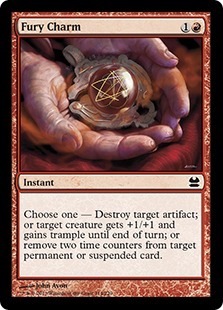 There were others that I would have been happy to play, such as Scars of Mirrodin and Shards of Alara, but I didn't hesitate to jump into an Innistrad event. 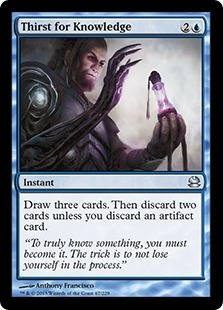 I didn't expect to do too well, as in the past I had only made it to 4-1 in these qualifying formats once, and that was for the MOCS LCQ last year. 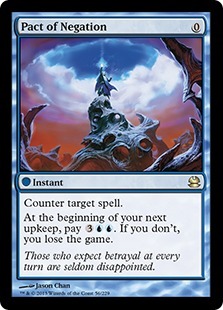 I just wanted to play an Innistrad Sealed Event. 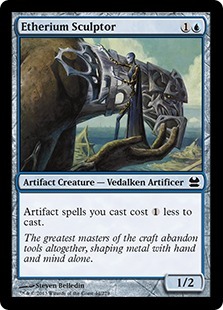 While I am going to focus mostly on my pool from Modern Masters in this article, I did want to present my Qualifier deck. 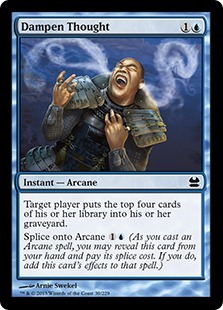 I ended up going 4-1 with it, after losing the first round and winning the next four. Here is the deck, with the pool in the Sideboard arranged alphabetically by color. 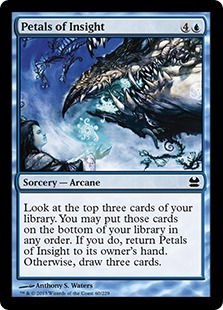 I felt like this pool mostly whiffed on Rares. 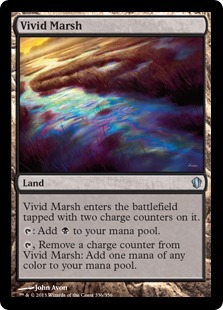 Champion of the Parish is a good card, but requires synergy, which I felt this pool didn't have. The rest were not very strong, other than Kessig Wolf Run, which I decided to play. 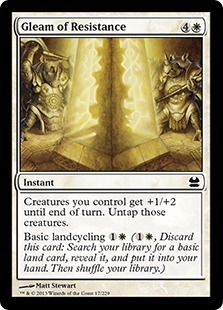 I felt that the only way my deck had a chance was to enchant up some creatures in the early game and hope my opponents didn't have enough removal to get card advantage on me. I don't remember much about the individual matches, but things worked out and I qualified for the Finals. I thought about simply registering for the event and cashing in my pool, but I was free-rolling at this point, so I figured that I might as well give the event a shot. 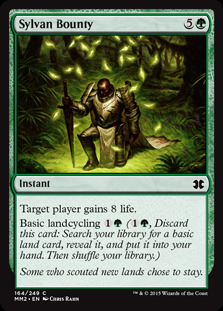 The first thing I did was go to Limited Resource Episode #186, which is a great resource if you are going to have the chance to play in a Modern Masters event. Marshall Sutcliffe and Brian Wong go over each of the color pairs/archetypes, it really helped me out a lot. The day has finally come, and I get my packs for the event. 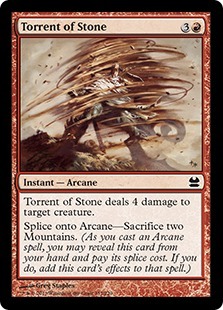 I knew I was going to need extra time to build my deck since I wasn't familiar with any of the cards. Here is what I had to work with. I think the White looks pretty good. 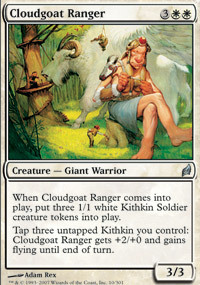 I have a pair of Cloudgoat Rangers, so I will look for a W/R Giants deck. 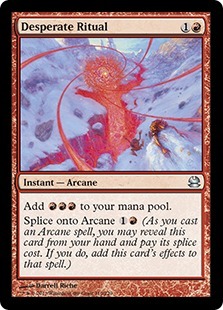 Path to Exile is splashable in just about any deck. 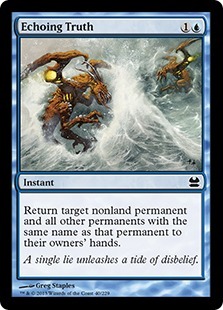 I have several cards that can blink the Rangers back in for extra value, too. 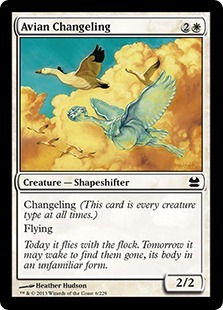 The three copies of Avian Changeling is also nice, because they fit into the tribal archetypes. 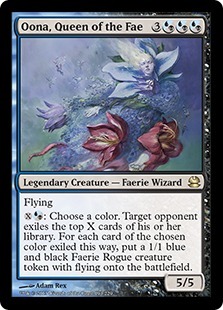 Adarkar Valkyrie is incentive to play White as well. The Blue doesn't seem particularly strong to me. 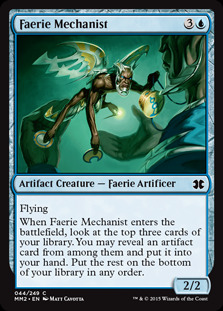 There is an Aethersnipe which is excellent, and a couple of Faeries. 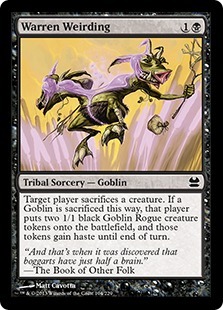 Depending on my Black, I will see if that deck is available. 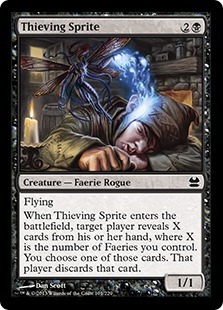 The Black doesn't offer much in terms of Faeries other than Thieving Sprite and Dreamspoiler Witches, but it has a lot of key cards for a R/B Goblins deck. 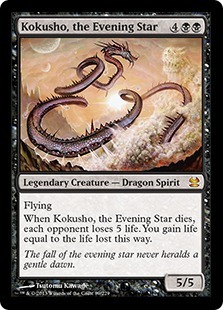 I've also got Kokusho, the Evening Star, which would make for a nice finisher. 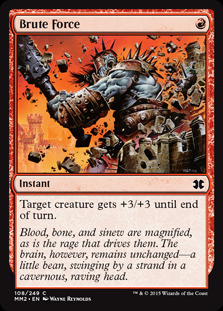 The Red doesn't seem to have much in the way of Giants, so that archetype may be out. 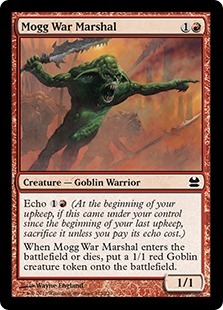 It does have extra support for Goblins with the Mogg War Marshals and Tar Pitcher, with a couple of very splashable removal spells as well. I didn't look too closely at the Green, but I didn't see much here. 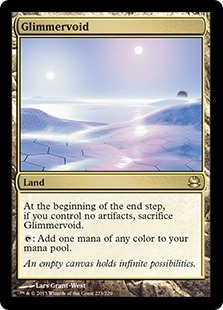 A Thallid deck might have been possible, but there was not much support in White for that. 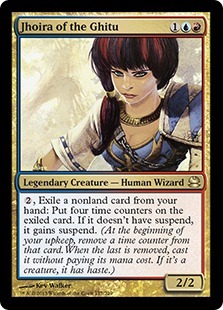 Oona, Queen of the Fae will make me look harder at a Faeries deck. She seems like a good source of inevitability. 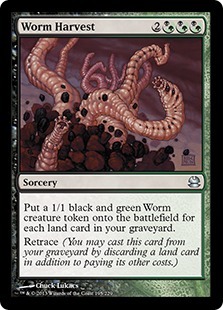 Worm Harvest seems reasonable in a Dredge deck, but I didn't see much support. 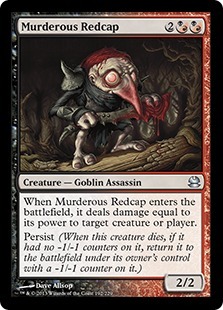 Murderous Redcap fits well into Goblins, or any deck that can support him. 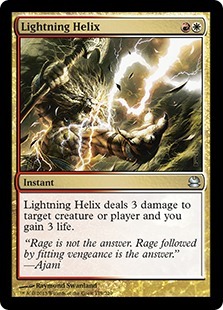 Lightning Helix would work best in a W/R deck, but it could be splashable as long as I am in one of those colors. The fixing actually looks quite good to me. 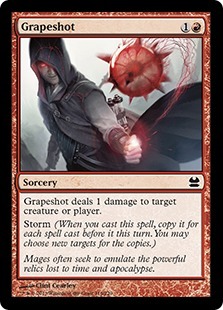 I will mostly likely play all of these except for Glimmervoid, and I would run that in Affinity. 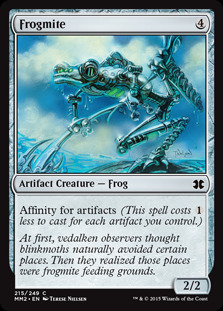 These Artifacts do not look very powerful to me, so I am not going to have much interest in Affinity. So, that's the pool. I am intrigued by Oona, so I am going to start there by looking into Faeries. 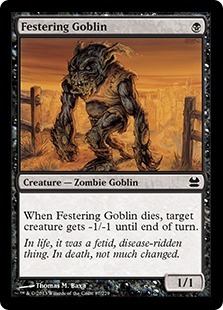 I found about 13 cards that I was happy to play, and several more that I could play, but wasn't really excited about it. That didn't feel like enough of a deck to me. 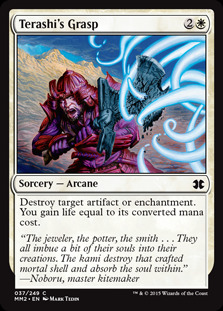 If the other archetypes don't come back together I could come back to it, though. 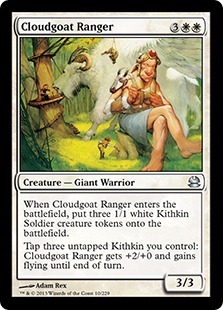 I am going to move on to Giants for now. 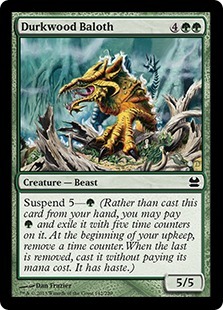 This deck seems powerful with threats and removal, but I've only got 10 creatures, which does not really get there. 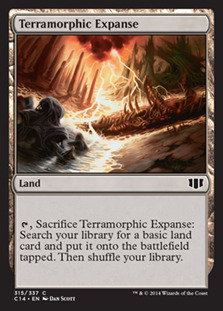 I am also running some enchantment removal main deck, which is not ideal. Again, I felt like I had about 13 solid cards, but had to start reaching after that. 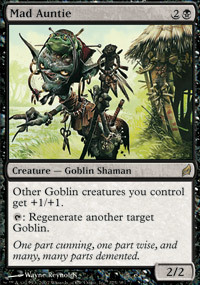 I think I would go with double Cloudgoat Ranger over the Faeries deck, but I want to see what R/B Goblins looks like. 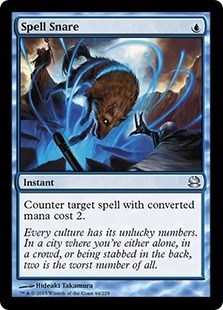 While this deck doesn't seem to have the raw power that the other two decks have, it feels like it has a lot more synergy. 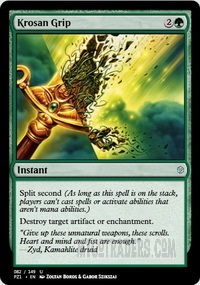 There is also a good amount of removal. 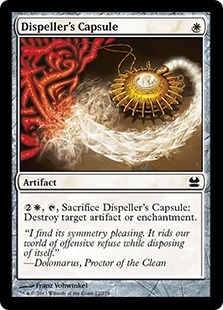 It has the capability to steal a game quickly, or clear out the board and finish things off with Kokusho. 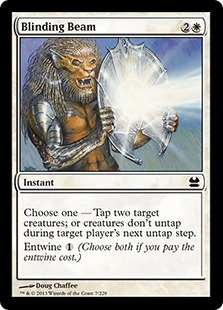 I am also splashing white for Path to Exile, Lightning Helix, and a Changeling. 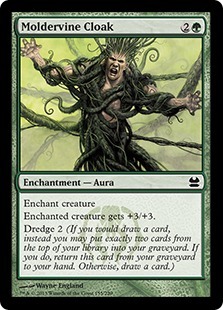 This is the deck I decided to play. 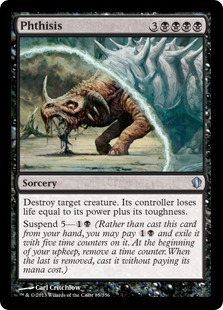 Looking back, I think I would have left out the White Changeling (not quite worth the splash), and played Death Denied instead. About halfway through the tournament I found myself bringing in Death Denied each time. That is the biggest change that I would make. 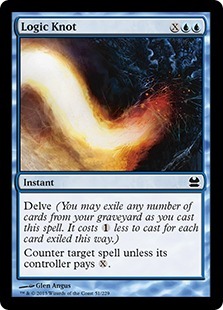 So how did the deck perform? Let's take a look. Round 1: Remember how I talked about possibly registering for the pool and not showing up to play? 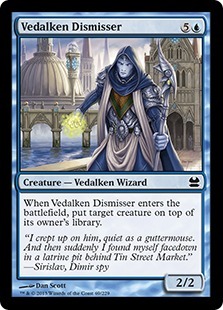 Well apparently a LOT of people did that, including my Round 1 opponent. 1-0 is a great way to start. 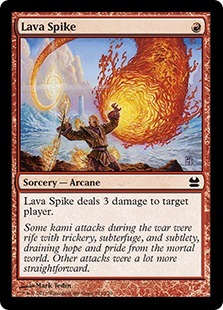 Round 2: I played a UWB deck in the second round. 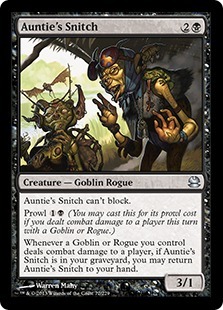 In at least one game I was able to curve into Mad Auntie and get there quickly. The other games were a bit longer, but I was able to get there to improve to 2-0. Round 3: Things got a bit harder in the next round. 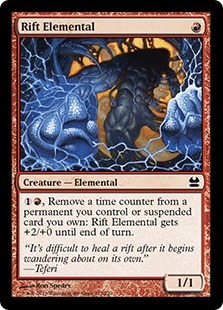 I was against an Affinity deck with two Bonesplitters and got absolutely crushed. 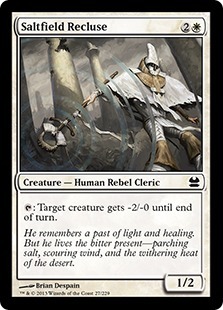 Round 4: I was up against a non-Rebels WB deck in Round 4. 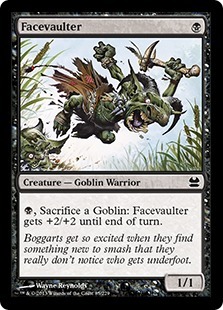 I remember my opponent casting a Tidehollow Sculler. I didn't run particularly well in this round and fell to 2-2. I figure I can still play for Top 128. Round 5: I'm up against WRG in the next round. I know they had a Kitchen Finks, but don't remember much else about their deck. I was able to win to get back to 3-2. 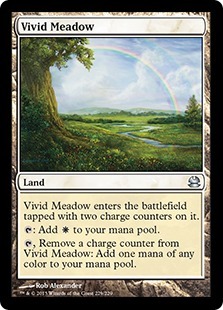 Round 6: It was four-color Suspend this round and my deck wasn't well equipped to deal with what he had. 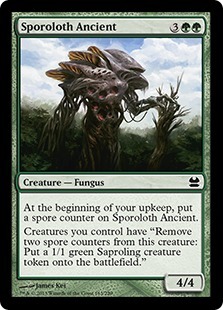 He had Reach of Branches and Penumbra Spider, which shuts down my offense pretty well. I fell back to 3-3 here. Round 7: I was up against WR Giants this time around. 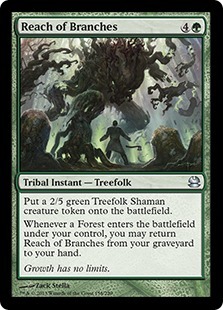 His deck seemed powerful with two copies of Thundercloud Shaman. 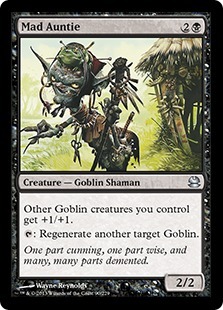 Luckily, every time he went to sweep away my Goblins, I had instant speed removal to keep everybody alive. I win this one to get back to 4-3. 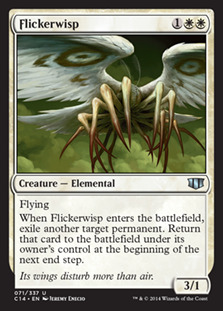 Round 8: This time it was WUR with Sword of Fire and Ice, Elspeth, and a Bonesplitter. I pushed it to Game 3 but couldn't quite get there. I'm at 4-4 fighting for T128. 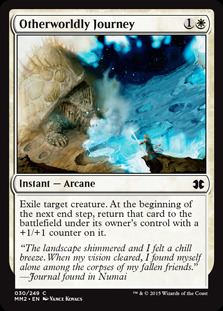 Round 9: In a bit of poetic justice, I play against the mirror in Round 9. 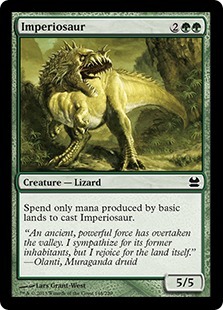 I feel that his deck probably had more synergy, but I am able to bring it home with Kokusho. 5-4 which is going to be enough for T128. Round 10: Forfeited as I went to dinner with my wife. I finished at 5-5 which was good enough for 102nd place. 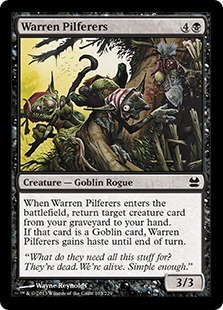 Several 4-6 players made T128, but I don't know if my tiebreakers would have allowed for that. 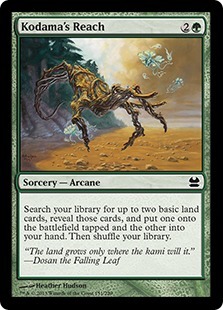 Overall, I'd say I had a great time, and I really missed out by not playing the format the first time around. 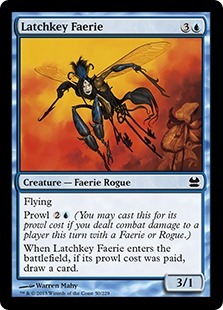 I wish I would have been able to play with the Faeries and Giants decks. 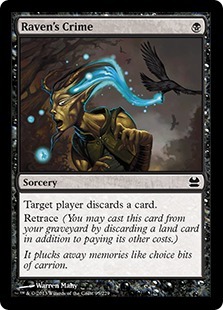 Whenever the format comes back as a Flashback Draft I will be playing!